Networks describe how things are connected, and are ubiquitous in science and society. Networks can be very concrete, like road networks connecting cities or networks of wires connecting computers. They can represent more abstract connections such as friendship on Facebook. Networks are widely used to model connections between things that have no real connections. For example, Biologists try to understand how cells work by studying networks connecting proteins that interact with each other, and Economists try to understand markets by studying networks connecting institutions that trade with each other. Questions we ask about a network include "which components of the network are the most important? ", "how well do things like information, cars, or disease spread through the network? ", and "does the network have a governing structure?". 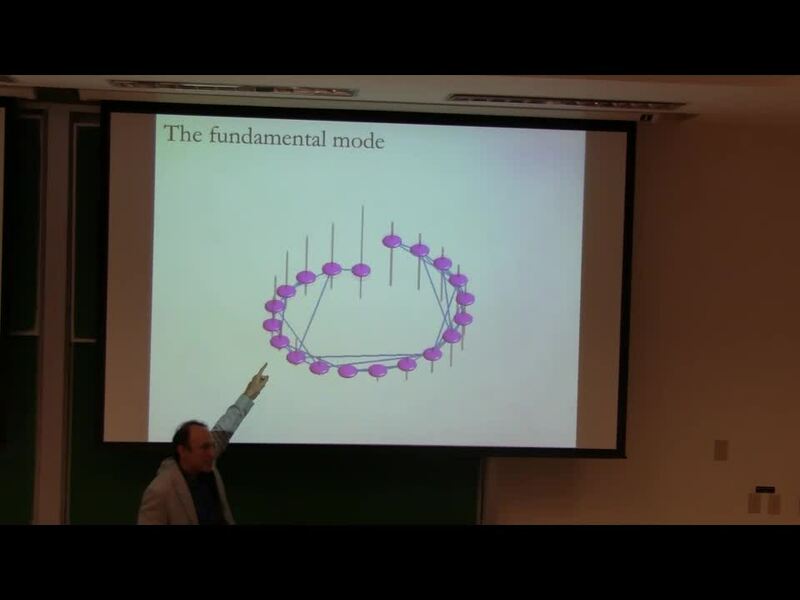 Professor Spielman will explain how mathematicians address these questions by modeling networks as physical objects, imagining that the connections are springs, electrical resistors, or pipes that carry fluid, and analyzing the resulting systems. Except where explicitly noted elsewhere, the works on this site are licensed under a Creative Commons License: . Report a suspected copyright violation.